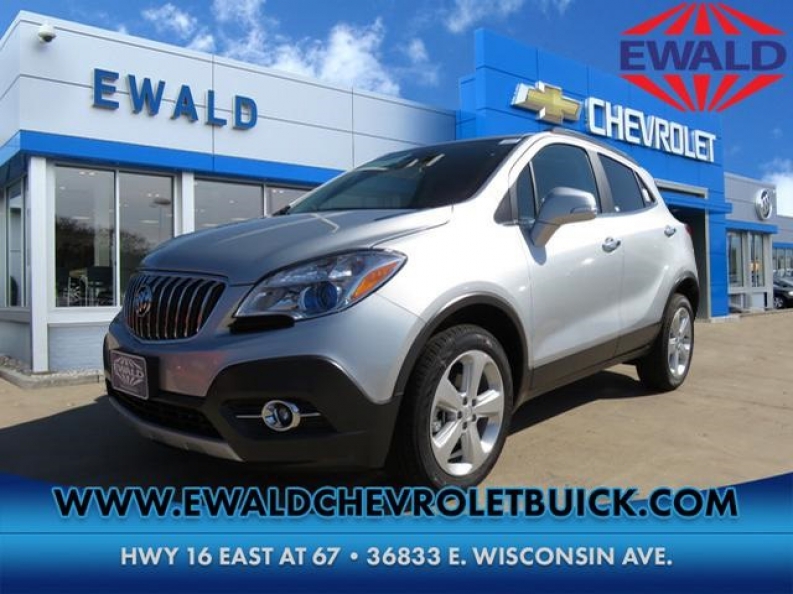 For the best new SUVs for sale in Oconomowoc WI, look towards getting a Buick SUV. And then look towards Ewald Chevrolet Buick! Here you will find a wide variety of Buicks for sale, and plenty of Buick SUVs for sale as well! 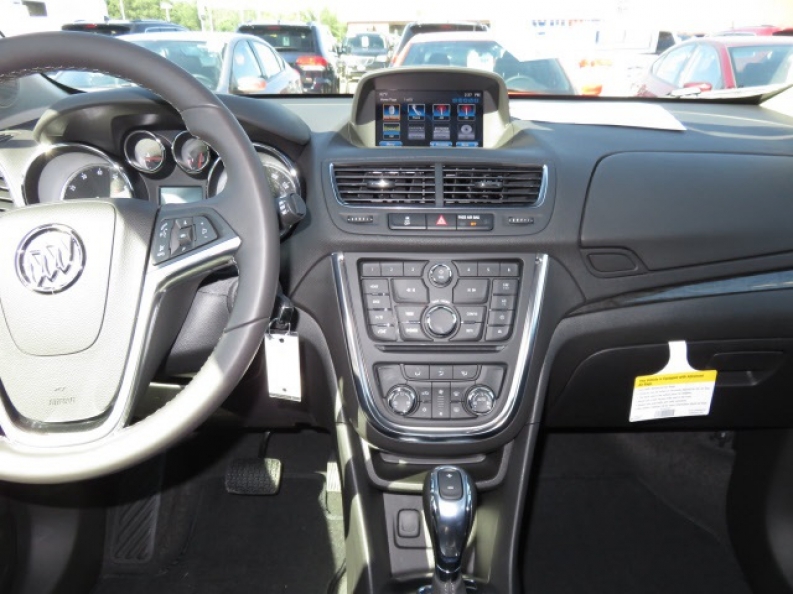 We have a wide variety of models to choose form, such as this new 2015 Buick Encore Convenience SUV for sale! This Buick for sale here in Oconomowoc WI, features a sweet ECOTEC Turbo 1.4L Variable Valve Timing DOHC 4-cylinder sequential MFI Engine, which will get you up to 138 horse power at 4900 rpm, and is combined with the power of a 6-speed electronically controlled automatic transmission with OverDrive and included Driver Shift Control, helping this Buick for sale achieve 25 City mpg and 33 Highway mpg, making this a great, gas saving SUV that you will absolutely love and adore! Along with its greatly efficient engine and transmission system, this new Buick for sale also features a Ride and Handling Suspension package that will make any ride on any rough road or rugged terrain feel incredibly smooth, and Variable Effort Electric Power Steering that will make things like sharp turns seem effortless. This new Buick for sale also features many installed options that you will love, such as its Leather Seats that you will sink right into and love, as they fill you with a sense of comfort and luxury, as well as its Back-Up Camera that will make tasks like backing out of busy streets and parallel parking seem easy and effortless, making such things a safer, and less stressful, task to complete! Come on into Ewald Chevrolet Buick today to see this new Buck SUV for sale, as well as our inventory of other Bucks for sale!